With the ground-breaking growth of global OTT platforms, TV and movie content owners have more opportunity to distribute around the world than ever before. This opportunity, however, comes at a price — a need for greater capacity, more talent and an infrastructure that’s fit for purpose, one that’s built to do the heavy lifting. Tackling this opportunity requires a new way of looking at localization and digital distribution, making the most of innovative technology and shaking up tradition. By utilizing the cloud, Hollywood studios and global broadcasters are taking expansive libraries of content around the world and unlocking all new revenue streams. But the real benefit of all this is choice, giving TV and movie studios the choice to release content into new territories and onto new platforms, and the choice to localize content that was previously outside the scope of their budgets. With more than 200 OTT service providers currently in the U.S. alone and a growing global demand for localized TV and movie content, cloud services are helping unlock entertainment – using smarter workflows and modern technology to distribute content libraries into new and emerging markets. At ZOO, the goal is to democratize dubbing, making it irrelevant who you know or which studio you’re connected to. As long as the recording environment has been approved, the talent is ready to go. 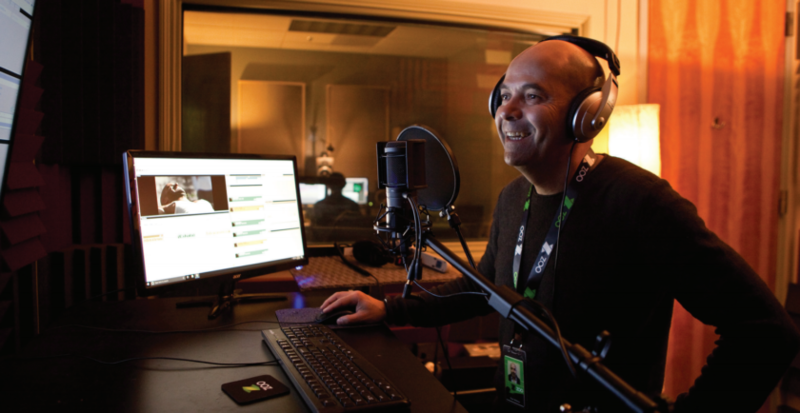 This opens up a world of choice, giving content owners the choice to feature the best voice talent for the job – not just those located at a nearby dubbing studio. This means fewer operating and staffing costs, which in turn lets clients choose the recording scenario to suit their budget. With ZOO, more accurate recording processes and efficient workflows are helping to cut down the time spent on the recording process by up to ten-times – while maintaining stringent quality standards. Simple checks and balances, such as monitoring the recording and approval process in real-time, avoids lines being missed and expensive re-recordings. The localization process is built up of several areas that traditionally work in silos. By connecting the different elements that go into TV and movie localization, cloud technology is making the entire process more interconnected and free-flowing. Giving content owners choice is key to unlocking the potential of TV and movie content libraries. Localization is not a one-size-fits-all process and the cloud is enabling different options for different types of content. Soap operas, reality TV shows and feature-length documentaries are often shelved, for example, despite there being an eager global demand and audience ready to consume them. By providing localization options, ZOO is helping content owners to maximize the opportunity to release and monetize their entertainment back libraries. Monetizing content across multiple platforms and territories involves a huge amount of cross-over of deliverables – from the different language requirements of each territory to the necessary assets involved in an OTT delivery. With such a daunting array of choices and associated costs, it’s vital to maximize the opportunity and help studios and broadcasters get the most out of their in-demand content.